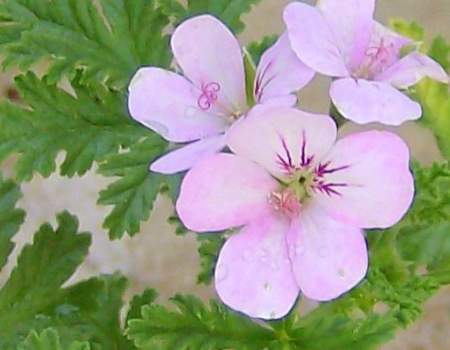 Pelargonium ‘Mexican Sage’ is a spicy scented geranium. Mexican Sage falls into the “apricot” group of scented geraniums. It is a large plant with billowing growth.